@syhrhdzq is on Carousell - Follow to stay updated! 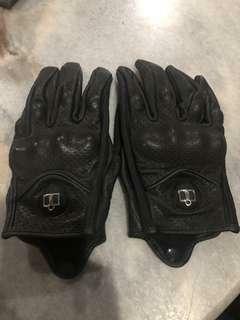 Pre-owned icon motorcycle glove Material : Leather Condition : 9.9/10 (just used once) Reason to sell : The glove too fit, i bought wrong size, need to buy new one. I sell cheap to just letgo the item. Nego till letgo. First come first serve. Chat to deal.